JOHNSON’S Pure Cotton Pads are made from 100% pure cotton and are soft, strong enough and perfectly shaped to get to those hard to reach areas. 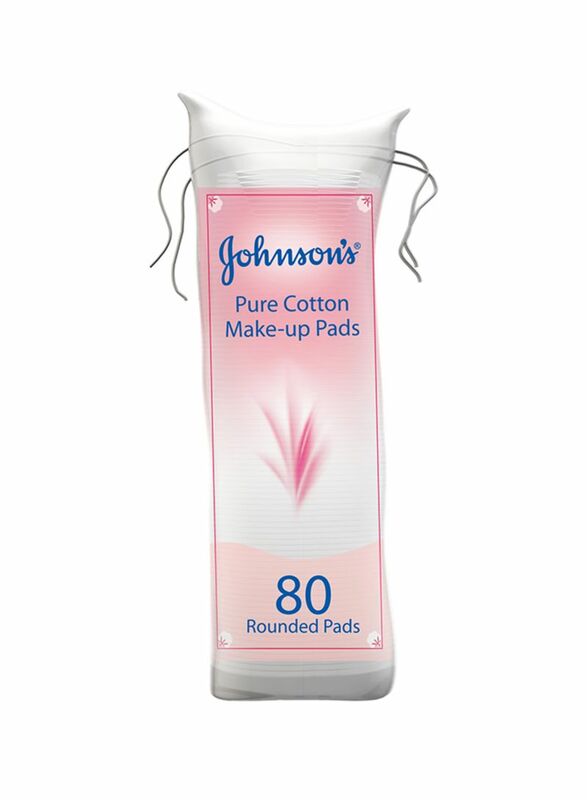 Naturally soft, highly absorbent and gentle JOHNSON’S Pure Cotton Pads are particularly suited to remove make-up without leaving cotton fibres on your skin. Keep your skin feeling beautifully soft and refreshed with JOHNSON’S Pure Cotton Pads! Apply cleansing lotion or solution on to the cotton pad and sweep onto your face for 100% cotton gentle feel. Keep out of reach of children. For external use only. Flammable. To avoid danger of suffocation, keep plastic bags away from children and pets. Developed with 100 years of expertise in caring for beautifully soft skin, JOHNSON'S Adult range of beauty products is perfect for all skin types. From facial cleansing and moisturizers, to shower gels and body care, we help you invest in beautiful skin. JOHNSON’S Adult offers an extensive skin care line-up that help you protect your skin in different seasons.